British economy appears to be gaining momentum despite Brexit-related fears of disinvestment, a new governmental report claims, as the solid labour market, and improvements in manufacturing and foreign trade are driving ongoing economic expansion. Kristian Rouz — The UK's GDP growth rate is gradually gaining momentum amid decades-low unemployment, a resurgence in manufacturing, and recent improvements in the country's foreign trade. This comes despite the uncertainty swirling around Brexit, and a persistent threat of investment flight still marring Britain's economic outlook. According to a report from the Office for National Statistics (ONS), the British economy rose 0.6 percent quarter-on-quarter in the July-September period. Officials said stronger consumer demand was the main factor behind this acceleration. These latest GDO growth figures are also the strongest since 4Q16 when the British economy expanded 0.7 percent quarter-on-quarter. The ONS, however, observe an increased number of British businesses have put their investment plans on hold due to Brexit-related risks. The cabinet of Prime Minister Theresa May has yet to reach a comprehensive divorce agreement with the EU — or abandon such plans altogether, opting for a ‘no deal' Brexit. Either way would be a better option than the lingering months-long uncertainty, analysts say, as many businesses have prepared contingency plans for a ‘no deal Brexit' — potentially allowing them to weather the storm. "The outlook for growth is particularly uncertain, especially with the exit date from the European Union fast approaching and the terms of the future relationship yet to be settled," Amit Kara of National Institute of Economic and Social Research (NIESR). NIESR experts say the British economy will likely slow to 0.4 percent in the last quarter of this year, as the Brexit standoff is expected to escalate — weighing on the UK's domestic investment. For its part, the ONS observed an improvement in household consumption, driven by the solid labour market and rising wages. Household spending rose 0.5 percent between July and September, whilst the services sector rose 0.4 percent. Additionally, the ONS said Britain's labour market is poised to remain solid over the coming several quarters at least — particularly so in the wake of the limited fiscal stimulus from the Exchequer. The UK's unemployment is at its lowest since the mid-1970s, but inflation — still above the Bank of England's 2-percent target — poses a bit of a nuisance. The ONS also said business investment dropped 1.2 percent, as many companies have started to divest from the UK amidst the speculation a ‘hard Brexit' could become reality. The UK's investment has declined for three consecutive quarters — driven by the loss of capital expenditures in the sectors exposed to trade with the EU. "The expenditure breakdown of GDP, meanwhile, shows that business investment fell by 1.2% quarter-on-quarter in Q3, taking the total decline since the peak in Q4 2017 to 2.4%. The risk of a no-deal Brexit is the clear driver of the downturn," Samuel Tombs of Pantheon Macroeconomic said. The most controversial point in the ONS report is its observation of weakness in the UK's car industry. Officials said the national output of transportation equipment fell by 0.2 percent during the reporting period — the first such decline since the global crisis of 2008. Some experts say new environmental regulations might be to blame — but others say the UK's car manufacturing might be doing better than the statistics would suggest. "…a fall-back in domestic car purchases. However, car manufacture for export grew across the quarter, boosting factory output," Rob Kent-Smith of the ONS said. "Meanwhile, imports of cars dropped substantially, helping to improve Britain's trade balance." Meanwhile, Chancellor of the Exchequer Philip Hammond said the British government is committed to supporting domestic consumption and the overall well-being of the UK's households. The chancellor touted his next year's budget as a strong pivot towards supply-side economics — aimed at supporting the manufacturing sector and domestic infrastructure as well. "That is why my Budget supports hardworking families by cutting taxes for 32 million people, provides more funding for public services, including a record-breaking funding increase for our vital NHS, and invests in our future with more money for transport and digital technology," Chancellor Hammond said. 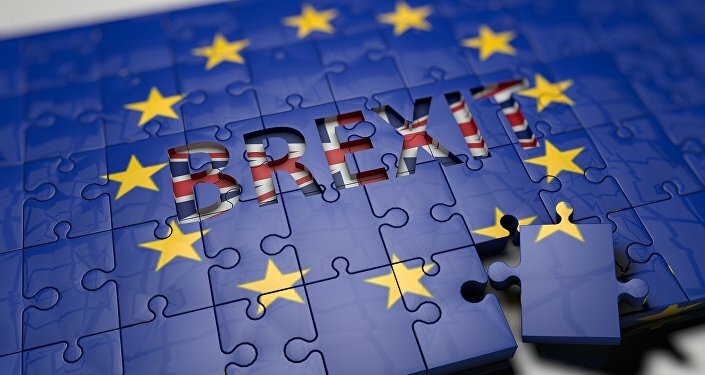 The British government has repeatedly pledged to achieve a Brexit deal that would work for everybody in the UK — however, investors are increasingly anxious as time appears to be running out, with Brexit set to take place on 29 March 2019.